The adobe Winfield Hangar was constructed in 1936 by the Works Progress Administration and Pecos County. Winfield Airport was used as an auxiliary field to Gibbs Field during World War II, a primary training base located in Pecos County. State Senator H. L. Winfield, for which the hangar is named, was a champion for the creation of Big Bend National Park. This airport was elite in its time, being the first in the area. It transported people and cargo from Texas to all parts of the country and was on the old Chihuahua Road. 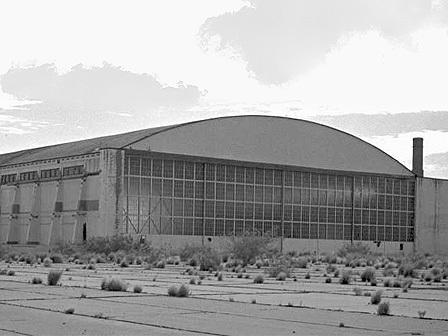 The now -vacant adobe Winfield Hangar is threatened due to neglect and damage from the elements.